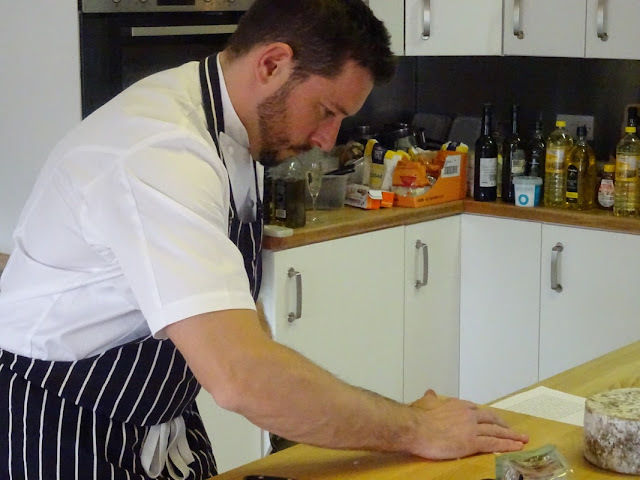 For more news on our Cookery School and Food Events check out our blog. Foodie gifts are always appreciated. Hartingtons School of Food loves giving people gift vouchers for our extensive range of artisan food & drink & cookery courses. It's the perfect gift for any foodie and person who loves to create their own wonderful tasting food or drink at home. 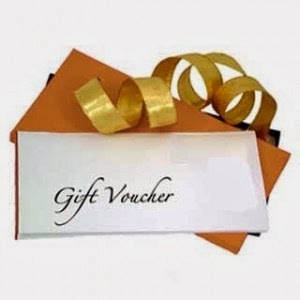 We like to give you the choice of how you buy your gift vouchers. We can present you with an open gift voucher for any amount or course; this can be done by just giving us a call or dropping us an email. If you would prefer to carry out the whole process online, why not have a look at the vouchers available through Paypal. If you want to personalise your foodie gift, why not let us prepare you a unique personalised gift letter. We are ready and look forward to your e-mail or call, so just get in touch. We are so excited to start our cookery and baking courses this Autumn and one of the most interesting for foodies and walkers a like is our food foraging and cookery courses with expert food forager Chris Bax. 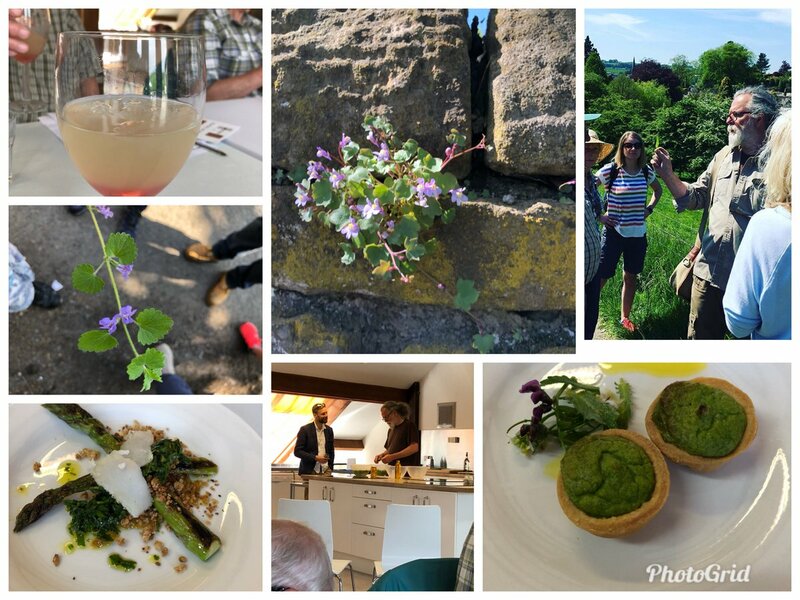 This one day combined forage and cookery courses showcases 30-40 foraged food items that can be seen and tasted by just a four hour foraging walk along the Monsall Trail just outside Bakewell. Chris then takes a selection from natures larder to create a stunning 4 course tasting menu for our hungry foragers to watch being cooked and then enjoy a small sample. We have just a couple of places left on Chris's final foraging course before Christmas. If you can't make it this time we will be repeating a foraging course in the Spring of next year. Chatsworth House has long being an advocate of quality local ingredients food and drink and plenty is available from the Chatsworth Farm Shop and also the Devonshire Arms. 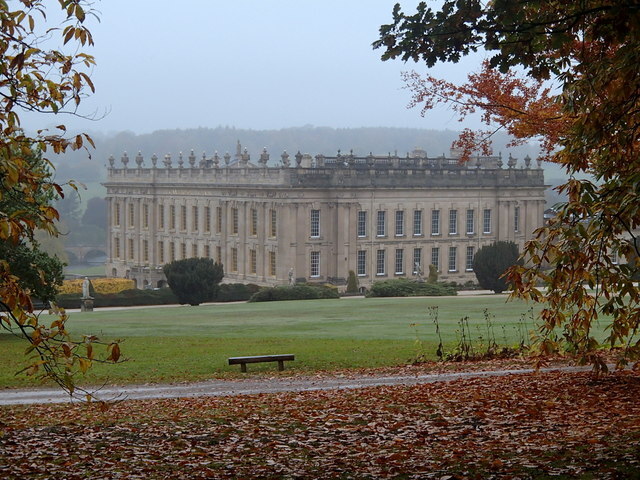 Chatsworth in the heart of the beautiful Peak District has long been associated with fine food and cookery and an appreciation of how to use the abundance of stunning local ingredients from Derbyshire Lamb, Venison to locally produced beer such as Peak Ales based on the estate. Darren's skill is to build up a stunning and complex plate of food by employing his repertoire of cookery skills on this Chatsworth inspired cookery course and techniques and using fresh seasonal produce which can be found on the Chatsworth Estate. To book a place on this one off cookery event then visit Flavours of Chatsworth Cookery Course. When does Chatsworth House Re-open 2018? The fabulous Chatsworth House re-opens for the Spring season on the 24th March 2018 so make a note of the re-opening date after being closed for the Winter. Don't forget though that you can visit the grounds of Chatsworth House designed by Capability Brown at any time during the year. For those that have not been this evening is one not to be missed. A one off 8 course tasting menu from a Chef at the top of his game Darren Goodwin of Loose Hill House and Grafene in Manchester knows how to dazzle and amaze with his combination of simple flavours building up to a plate of food like a grand master paints a picture, layer by layer. Join us with John Hattersley Wines for our Grand Finale of food and drink on this one off event. Goosnargh guinea fowl "hunters sauce"
We are racing into September and Autumn; one of my favourite seasons. I love apples, nuts and the rustle of newly fallen leaves. 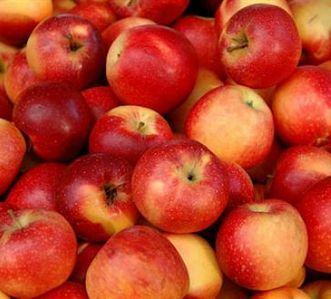 Autumn presents itself with it's own challenges such as what do you do with all those fabulous English apples? This brings me onto our new Artisan Cider Making Course where we learn how to produce delicious artisan cider from all those left over apples. So join our new tutor Rob North from Pure North Cider Press to learn how to make your own golden nectar. Rob is a gent and an expert in cider production having set up his own production facilities near Holmsfirth in Yorkshire. We have just returned from an 18 night holiday around the Balearic Islands off the coast of mainland Spain and yet again we were blown away by the quality of the food produce and just how good eating out on a budget can be. 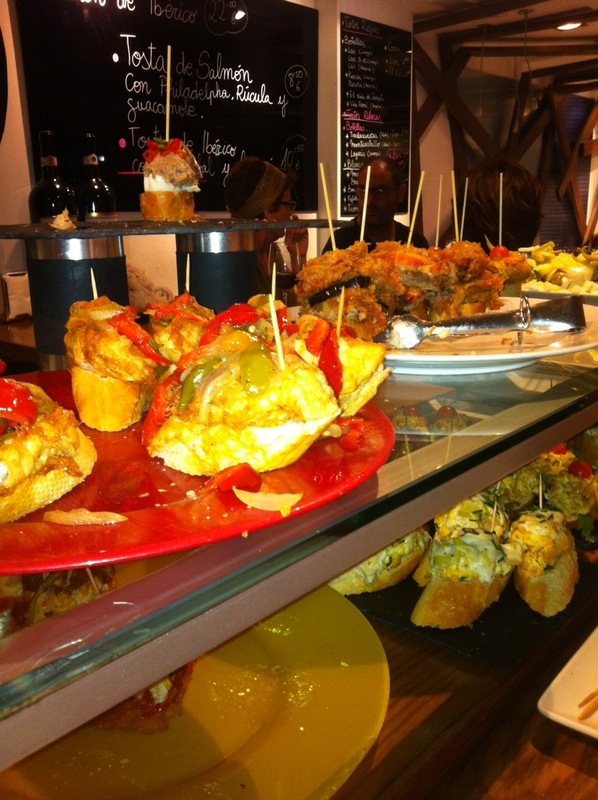 We fell in love with the Spanish tradition of a relaxed 2 hour lunch on a Menu Del Dia followed by an evening visit to a local tapas bar and dining out on their array of stunning Pinchos. For those not in the know a Pinchos or known locally where we were as Pintxos are the ultimate open sandwich available in a plethora of colours and flavour combinations. These combine elegantly with a glass or two of the inexpensive but surprisingly good local wines. The essence of Spanish cookery just like any good food is to take quality ingredients and then to understand how you combine these flavours to produce interesting and mouth watering flavour combinations. The essence of good tapas. For those people who interested in being able to recreate their own slice of Spanish cookery in the UK we have the perfect combination on our one day authentic tapas cookery course. On it Javier De La Hormaza from Basco the leading importer of gourmet Spanish food will show you how to create authentic Spanish food dishes to create stunning results. 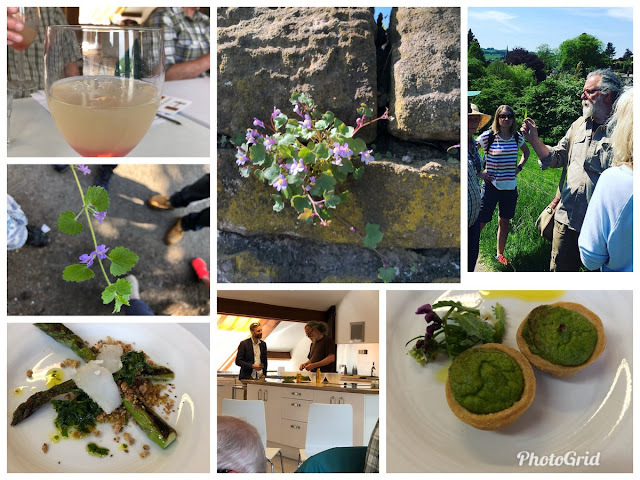 Lots of our guests who are booked on one of range of cookery and artisan food courses look to make a weekend or week stay in Bakewell in the fabulous Peak District. We now have accommodation in the next door River View apartment also set in Rutland Mill giving you beautiful views over the River Wye in Bakewell. The apartment is available to book from September. Stunning newly converted mill apartment overlooking the River Wye in the heart of the picturesque Peak District town of Bakewell. Light, airy interior inspired by the owners Danish heritage and love of Nordic design. There is nothing better than receiving a hand crafted artisan gift from the one you love. We recently had a guy come along who was looking at making chocolates for all his guests on his up and coming wedding. How romantic. Artisan chocolates can make a great gift any time of the year, for birthdays, fathers day or just because you can. Artisan chocolates that have been hand tempered with their own infused ganache with natural ingredients such as orange or fresh mint not only have fantastic multi layers of natural flavour they can also look stunning once you have enrobed them with your tempered chocolate. To find out about the next forthcoming artisan chocolate courses and learn to make artisan chocolates that taste and look good enough to sell. Take off heat once combined and glossy finish, at this point add the butter and stir. Your ganache should be slightly firmed but able to scoop and roll into truffle shape. 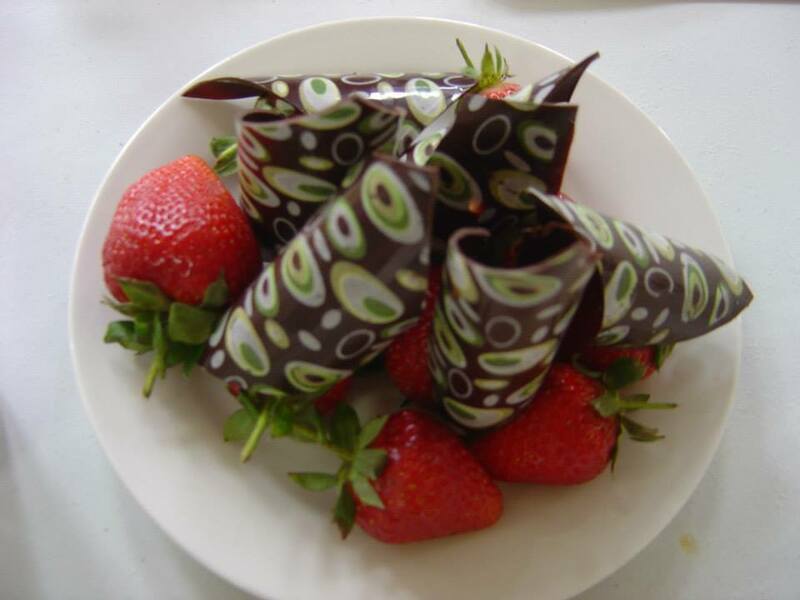 You just need to enrobe your genache and then potential decorate your chocolates to create the artisan look. The start of a new year brings many new challenges and opportunities. Many people look to use the new start to the year to launch a new business. 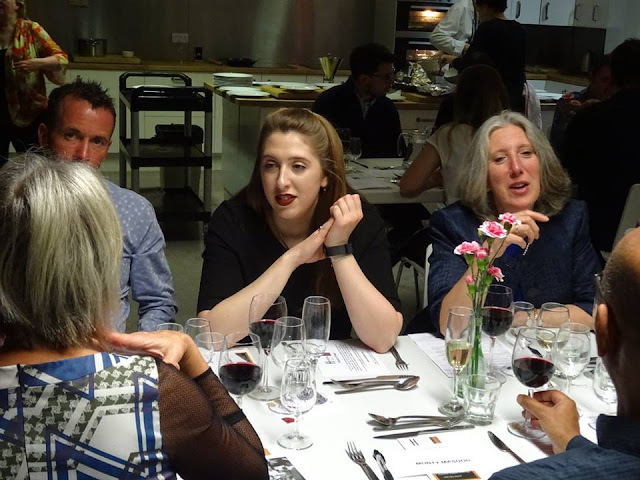 Hartingtons has helped hundreds of people to set up their own food and drink business by giving potential food & drink entrepreneurs the essential insights of what it really like running their own business. Importantly, our expert tutors are able to highlight some of the pitfalls of running or starting up a new business and help you avoid making costly and avoidable mistakes. Hartingtons is running an expanding a range of start up business courses teaching people how to set up their own coffee shop and tea room. This course gives a unique insight into the opportunities and challenges of setting up and running your own coffee shop or tea room. With our range of expert tutors we cover the design and financing of your coffee shop, through the securing of premises and negotiating your lease and more importantly getting a rent free period! For more details about setting up a running your own tea or coffee shop have a look at the course details which will run in Bakewell on the 7th May. 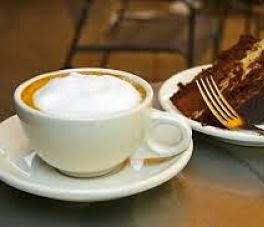 Some people have been suggesting that the market for coffee shops and tea room is reaching capacity but despite this some very successful entrepreneurs such as Luke Johnson (founded Strada & owner of Patisserie Valerie) has suggested that there is room for a new wave of artisan coffee shops. He has just put his money where his mouth is and invested in a coffee roaster and coffee shop chain in Brighton called Small Batch Coffee. Latest figures still suggest that the coffee shop market will continue to grow. If beer rather than caffeine is your tipple have your ever fancied setting up your own microbrewery? The Brew-School in Bakewell shows brewers from across the country and the world the essential things they need to consider before taking the plunge and setting up their own microbrewery. The UK like the States has entered a period of rapid expansion of the microbrewing sector and real ale or craft beer is now hip. How many microbreweries are there? The latest figures indicate the UK has knocking on 1400 micros and the figure just keeps rising. This 3 day course at Brew-School will give brewers the essential things they need to know to decided whether setting up a microbrewery is the thing for them or how to then take their brewing dream forward. The latest course aimed at food and drink entrepreneurs is a one day course aimed at equiping new entrants into the pub or bar market with all the expert insights on what they need to know if they are considering running or leasing their own pub or bar. The course entitled how to run a pub or bar takes all students through the main aspects of setting up their own pub or bar and the aspects they need to consider when buying a pub or bar. How to write their own pub business plan and the regulatory aspects of running their own pub or bar. We have some fantastic new courses planned for 2016 as well as revisiting our favourites with leading artisan tutors and chefs. If you can't wait for us to get the dates on our website we have a sneak preview of our cookery courses and artisan food courses for you. Why not book a mind expanding artisan food or cookery course for 2016 and expand your horizons?